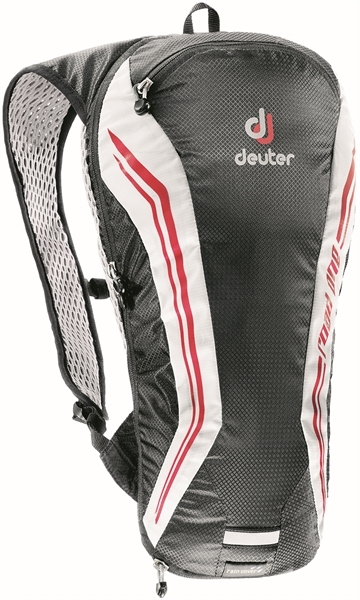 Product information "Deuter Road One black / white"
Finally! Here it is: Deuter's backpack specifically engineered for road cycling that brings the end of bulging jersey pockets on long rides. Camera, wind protection, or a small first aid kit can all be stored in this minimalist, aerodynamic road expert. The new backpack for road racers comes with a host of thought-through, clever features: with its narrow, V-shaped cut (without hip belt) you can easily access the back pockets of the jersey; the integrated rain cover in bright neon yellow is detachable and on the shoulder straps the cyclists find a special attachment option for the glasses. Related links to "Deuter Road One black / white"
Customer evaluation for "Deuter Road One black / white"